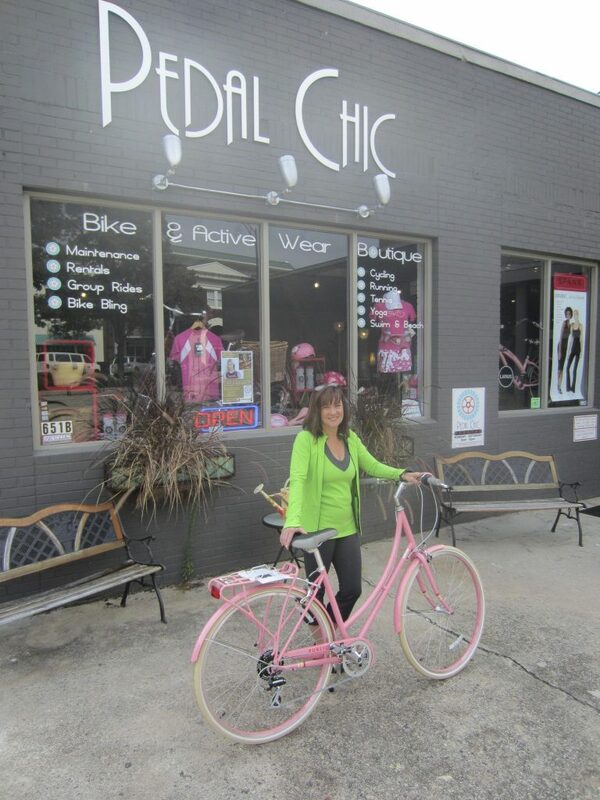 Robyn Bylenga in front of Pedal Chic, the first women-specific bike shop in the country. 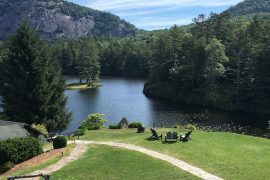 During a trip last fall to beautiful and charming Greenville, South Carolina, we decided to do a bit of touring our favorite way: by bicycle. Several people had steered us to Pedal Chic to rent bikes for the day. It’s a perfect name for the supercute women-specific bike shop and fashion boutique, the first one of its kind in the country. 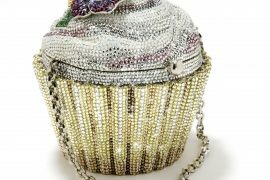 But owner Robyn Bylenga refers to her two-year-old establishment, opened with “super glue, duct tape and a prayer” as a women’s empowerment center. A road biker for 25 years who took it up more seriously as “great therapy” after a divorce, Robyn sees biking as an activity that women can do together and help them feel good about themselves, which led her to open what she believes is the first woman-specific bike shop in the country. 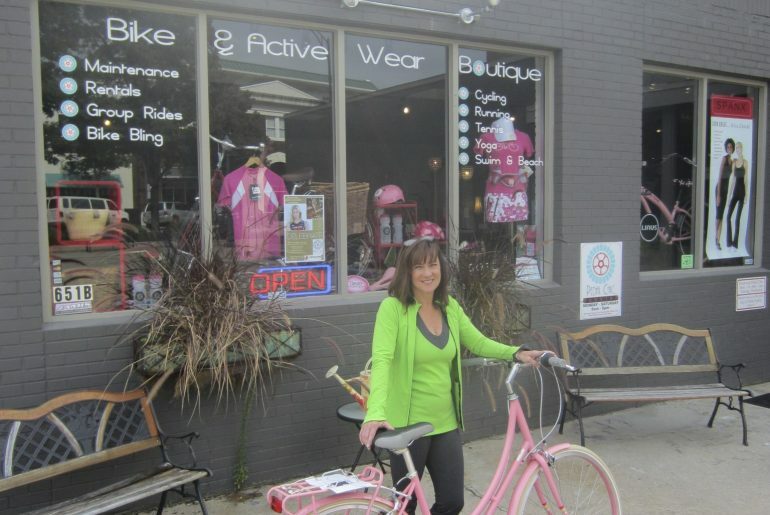 “And if I can get women on bikes, I can get kids on bikes and help combat our obesity problem,” she said. Robyn helped us select the right bikes for us — yes, she does have bikes for men so my husband wasn’t wheeling around on an all-pink number — and she supplied us with a map for the nearby Swamp Rabbit Trail, a 17.5 mile paved path than winds by the Reedy River and through wooded areas surrounding Greenville. When we returned from our journey, I took a few minutes to check out the jewelry and fashion selections in the store as Robyn described the makeover the store was getting ready to receive so she can continue her “minister to motor” in even more stylish surroundings.